At SeaChange we love using Xero and like to consider ourselves Xero experts. Our staff are all Xero certified advisors and have a passion to help small businesses banish the boring bits of business by using the efficiencies of Xero. Giving small businesses more time to do what they love. We can set you up or convert your previous accounting software, show you how Xero works and be there on for on-going Xero support. Check out our Xero packages to see what might suit you. Xero is designed to make small business easier by allowing you to access all your data and Xero tools from anywhere – just connect to the internet. Share access to your latest business numbers with us – so everyone is up to speed. When you set up direct bank feeds from your bank accounts, your transactions are imported securely into Xero each business day. All you need to do is categorise your latest banking, credit card and PayPal transactions and just click OK to reconcile. Easy-to-use online invoicing software makes it easy to create and send personalised, professional invoices & get paid online. Manage cashflow by scheduling bill payments, online payment options and sending automatic reminders. Manage all aspects of your business by using powerful add-ons for CRM, inventory, timesheets & job management, plus other specialised tools that seamlessly integrate with Xero online accounting. 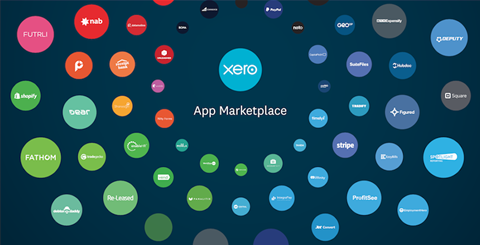 Check out the Xero’s App marketplace to explore the 700+ apps. Payroll, fixed assets, expense claims, budgets, projects, complete financial reporting – all done beautifully, when and where you need it: at work, home, or on the go. Login anytime, anywhere on your Mac, Windows, iPhone or Android. It’s simple, smart and occasionally magical. 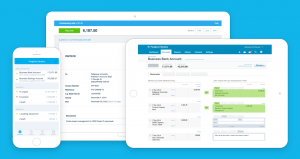 Plus, keep all your essentials like invoicing and payroll at your fingertips with Xero’s mobile app.